When Nabra Hassanen was killed by Darwin Martinez Torres, the media rushed to blame Islamophobia and Trump. The truth was simpler. 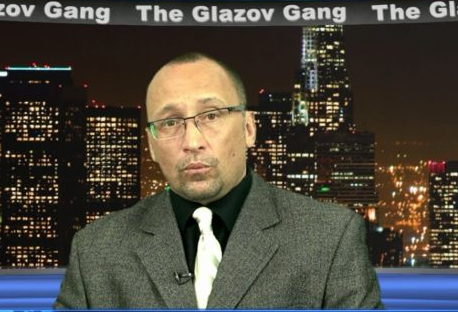 It was the left’s own Illegalophilia that killed the Muslim teenager. Torres, an illegal alien from El Salvador, had no interest in Hassanen’s religion. He got into an altercation with her friends. Hassanen happened to be the one he caught when her friends left her behind. The murder happened in Fairfax County. Earlier this year, Fairfax County Chief of Police Ed Roessler had assured illegal aliens that they had nothing to worry about. The police were not going to do anything about them until they killed someone. “We’re not targeting someone on the street that we may or may not know is here unlawfully,” Deputy County Executive David Rohrer soothed. Cecilia Wang, the Deputy Legal Director of the ACLU, demanded “accountability” for Hassanen’s death. That’s easy enough. The Virginia ACLU had pressured Fairfax County to go further in not cooperating with immigration authorities. Wang can demand “accountability” from the ACLU for Hassanen’s death. Fairfax County’s refusal to investigate illegal aliens made it a magnet for a rising illegal alien population. Its jails have nearly 2,000 illegal aliens and the area has become a magnet for the El Salvadoran MS-13 gang. It’s unknown whether Torres was an MS-13 member, but his behavior matches the extreme brutality and fearless savagery that the group, which has been lethally active in Fairfax, is known for. 13 MS-13 gang members were convicted of dismembering and burying their own members in a park. This year, ICE busted 11 MS-13 members in Fairfax County for, among other things, drug trafficking, weapons smuggling, human smuggling and murder. Ten were arrested for the murder of a 15-year-old girl who had been threatened by MS-13 members. The adults in the case were illegal aliens. Maybe if she had been a Muslim, the media might have cared. MS-13 sharply increased its presence due to Obama’s policy of open borders for “unaccompanied minors”. Meanwhile United We Dream, a Soros backed left-wing group passed out leaflets in Fairfax County urging illegal aliens not to open the door to immigration authorities and to “Fight Back”. 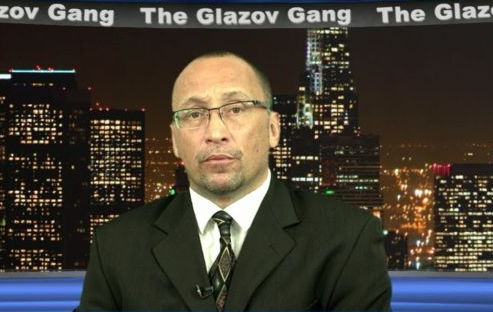 The left-wing group was protecting illegals like Darwin Martinez Torres from Trump. Sharon Bulova, the Democrat serving as the chair of Fairfax County’s Board of Supervisors, had been critical of immigration enforcement efforts by law enforcement elsewhere in Virginia. After the Hassanen murder, Bulova stated, “A horrific tragedy like this should never ever happen in our community.” It didn’t have to happen. Shielding illegal aliens was a choice that Bulova had made. In Loudoun County, where Darwin Martinez Torres lived, some efforts had been made to crack down. But there’s only so much good that one county cracking down can do when another acts as a magnet. Fairfax County is indeed “diverse”. Around a third of it is foreign born. The media had notably little interest in crimes committed by illegal aliens in Fairfax County until Muslims were affected. In April, Oscar Perez Rangel was arrested for sexually abusing a 12-year-old girl. Rangel was an illegal alien from Mexico who had already been arrested in the past for attempted robbery and the use of a firearm during a felony in Fairfax County. He was sent to prison and deported. He returned and was arrested again and deported. And then he popped up back in Fairfax County and abused a little girl. Since the victim wasn’t Muslim and the perpetrator was one of those wonderful “undocumented immigrants” whom the media, along with Fairfax County Dems, was dedicated to celebrating and defending, the story did not receive a fraction of the attention that the Nabra Hassanen case did. Even though the failures by the authorities were far more outrageous and egregious. The left has only itself to blame for Nabra Hassanen’s murder. It makes a fetish of diversity. But there are rational limits to diversity. You can champion Muslims and illegal aliens against Trump. But eventually members of one group will kill another. And it won’t be Trump’s fault. It’ll be yours. The utopian society that the left is building is as unstable and unsustainable as a nuclear meltdown. Nabra Hassanen was one of the many victims of the left’s illegalophillic sanctuary crimes. Most of these victims never became national figures. They died unmourned except by their friends and loved ones. If only they had been fodder for Islamophobia accusations, someone on the left might have cared. The media has tried to hide behind accusations of Islamophobia. Even after the police made it clear that it was road rage, the worst of the mainstream media’s outlets tried to keep its old lie alive. Maybe the illegal alien killer hated the entire continent of Africa, regardless of race, and as a student of ethnography was able to recognize exactly which Arab country Hassanen’s father had come from. Or maybe the media has exited reality and lives in its own matrix of lies and conspiracy theories. The Post’s Petula Dvorak, who has scribbled numerous defenses of illegal aliens, had insisted that it might still a hate crime because “hitting a 17-year-old girl with a bat and dumping her body in a pond would be an act born of hate.” As opposed to most murders which are motivated by love. Maybe we should prosecute all murders as hate crimes. Or only those that fit the media’s agenda. “Nabra was killed by some kind of toxic mix of hate and rage, there’s no doubt about that– even if it doesn’t meet the legal definition of a hate crime,” Petula protested. Nabra Hassanen was killed by the left’s love for illegal aliens. Hate and rage are abstracts. Letting a dangerous El Salvadoran gang set up shop in your community really does kill. The left likes to pretend that it’s all about love while its mean opponents represent fear and hate. Its love however is very narrow and specific. The left’s illegalophilic love for illegal aliens killed Nabra and many others. And it will go on killing. 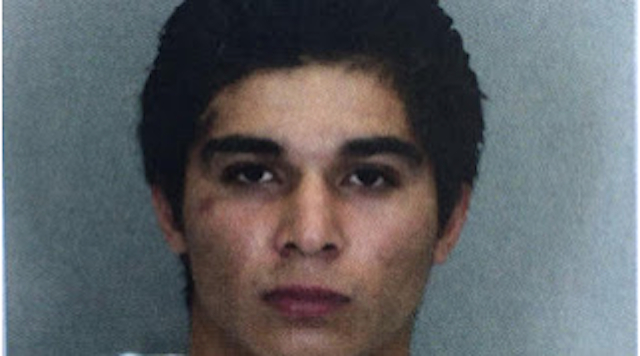 Fairfax County’s safe space for violent El Salvadoran illegal alien thugs accidentally became national news when the media’s desperate search for Islamophobia briefly lingered on one illegal alien killer. After some frantic efforts to obscure the identity of the killer, the lights, cameras and agendas will move on. But unless the law trumps the left’s illegalophilic love, the illegal alien killings will continue.